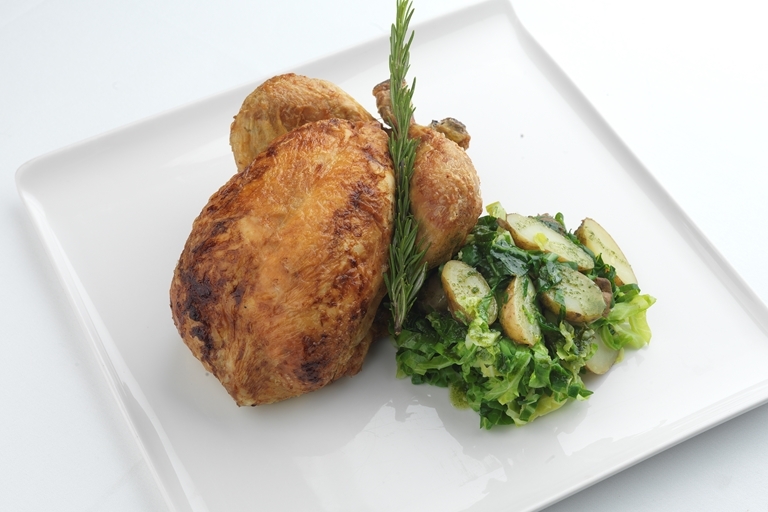 Graham Campbell's summery roast chicken recipe produces the perfect warm weather Sunday lunch. Instead of serving with heavier components like Yorkshire pudding and gravy, Graham serves the chicken with a herby potato salad. Ideally, cook in an oven with a moisture plus setting to ensure a crisp skin and beautifully moist meat.